This idea came from Chris Smith. Have students dictate or write about what they want to be when they grow up. Take their photograph dressed as that profession. Develop the pictures in black and white and mount them on black construction paper. This idea came from Fun in First Grade. 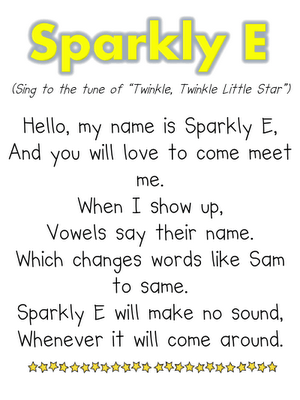 Sparkly "E" shows up and is so beautiful that the other vowel in the word wants to introduce itself by saying its name.Check out the post for all of the details on using Sparkly "E" with your students. I love this idea from Funky First Grade Fun! Make spelling tests super fun with Fancy Nancy and slippers. Read about all the details in the post Super Spelling Slippers. Check out Eve's blog Science Notebooking to find out more about her classroom timeline. I love these!! 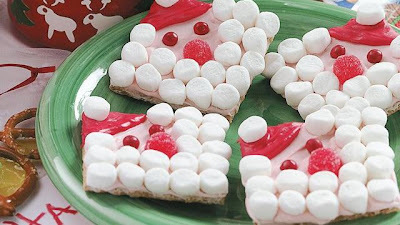 Kids would have so much fun making them, then they would write a how-to paper as a whole class or individually.You can find the step by step instructions for making these Santa Grahams here. I did a lesson today that was inspired by a lesson Brooke Perry did last December. Here is a picture of what Brooke did last year with her first grade students. She read the book If You Take a Mouse to the Movies, they made a whole group flow map, then the kids did a literature response activity. 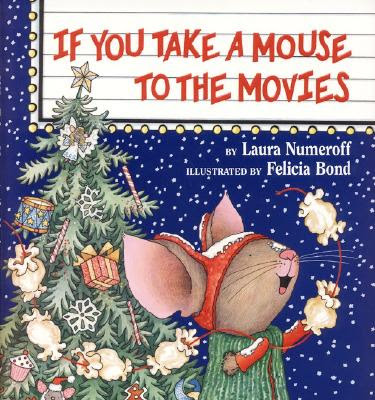 I stopped while reading when the mouse got popcorn at the movies, when the mouse built a snowman, and when he decorated the tree to have students partner talk about the connections they were making. First, I modeled thinking aloud and making my own connections. Then I had them partner talk. They talked about what they like to eat at the movies, what they like to do when it snows, and how they decorate their Christmas tree at home. After reading the book, we retold the story by walking back through what the mouse asked for and the things that went together. I focused on things that go together and then we brainstormed other things that could go together like socks and shoes, pancakes and syrup, donuts and sprinkles, etc. Then I did an interactive writing lesson with the students. Each child got a board, a dry erase marker, and an eraser. Students brainstormed ideas for things that went together. Different students took turns "sharing the pen" and writing with me on the chart paper while the rest of the group wrote the words on their boards. If time had permitted, I would have had students make their own mice and glue them to the top of a black sheet of construction paper like Brooke did. Then I would have had them adhere their response sheet to the black sheet of paper. You will find the measurements and instructions for making the mouse at the end of this post. Here is the recording sheet I used. It came from Kim Adsit's Reading is Fun! Comprehension Strategies unit. Students made connections to things they wanted that were like what the mouse wanted and that went together. Depending on the level of your students, you could have them write labels to go with their pictures. After the mouse is dry, the kids can go back and add whiskers and details with a black crayon. **DRY ERASE BOARD TIP** You can purchase a large sheet of shower board from Home Depot for under $13. Home Depot will cut it for you for free. I have 12 X 12 boards and I was able to get 32 boards out of one sheet of shower board. The dry erase markers were a little more costly. I found a pack of 12 for just under $10 at Walmart. You can purchase cheap wash rags from the dollar store or Walmart to use as erasers. I love this idea for a "gift" for students!! It's postcards worth a "free sit by a friend day." I found it on Lesson Plan SOS this morning. The postcards from Vistaprint. 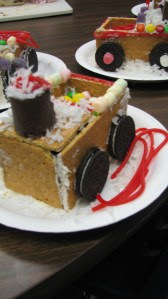 While you are checking out Lesson Plan SOS's post.... be sure to take a look at the Crazy for Christmas unit!! How to Make the Grinch Grin Class Book by Mel D.You can download it for free here. For more Grinch fun, check out Playing With Pixie Dust. 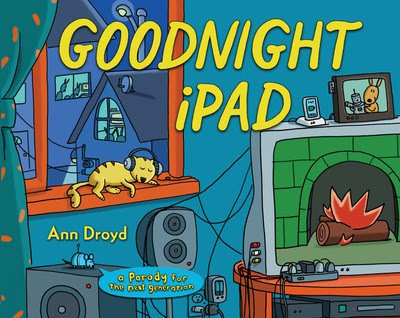 Goodnight iPad... perfect for kids today who live in a world full of technology. This book is great for covering those social studies TEKS on technology in the home. The book can be purchased from Amazon. I just found this great Christmas writing prompt from Hayley at Bishop's Blackboard.If you have not checked out Hayley's blog, you should. You will find tons of creative and engaging lessons for teaching first grade standards on it. 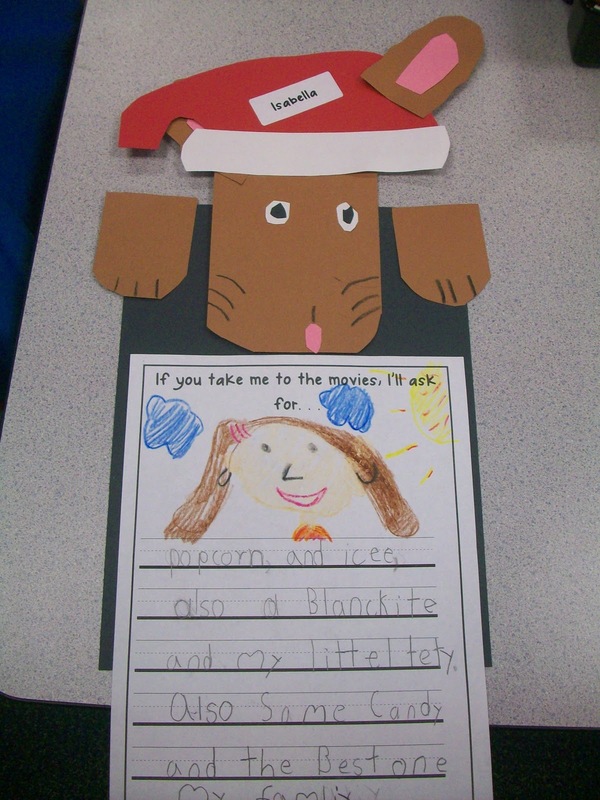 Students write about what would happen if Santa got stuck in the chimney. 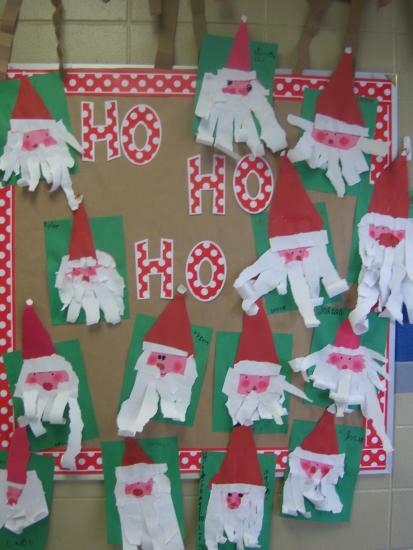 If you teach pre-k or kinder and your students are not quite ready to write their own sentences or story, then you could do a whole group shared or interactive writing lesson and then students could make Santa stuck in the chimney. 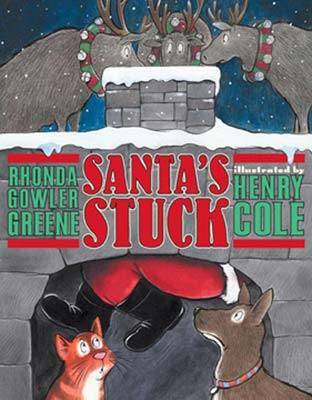 Santa Stuck by Rhonda Gowler Greene is a great book to use with this lesson. I just found this gift idea on Pinterest. These monogrammed chalkboards would make a great gift for team members or parent volunteers. It's a cheap frame turned into a cute chalkboard!! Go to Bella & Bambino for easy step by step instructions. I was in a kindergarten classroom last week and saw this classroom management idea. We all know our little ones tend to get a little crazier the closer we get to a holiday or a break, so this teacher decided to implement this Christmas tree ornament reward system to encourage making good choices. The teacher had students cut out a large Christmas tree and write their name on it. She encouraged them to write their name big and "fancy" in the middle of the tree. Then she explained to the students how they could earn ornaments for making good choices, being kind, following directions, etc. and that on the last day before break, everyone would count their ornaments and those with the most would receive a special reward.You could adapt this idea several ways.... students could do it individually, as tables or in small groups, or even against other classes. The "ornaments" for the trees are stickers. Are you CRAZY about glyphs?? If so, check out The Glyph Girls at TPT.You will find glyphs for penguins, polar bears, not a creature is stirring mouse, the Polar Express, the Grinch, and many other Christmas, Thanksgiving, and Halloween things. 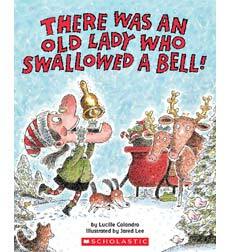 I love all of the Old Lady books. I just found this fun mini-unit from Castles and Crayons to go with There Was an Old Lady Who Swallowed a Bell. The unit has 21 pages in it and costs only $3 on TPT. You find your own Old Lady graphics from Scrappin Doodles. I just found this post from Kindergarten Rocks and loved the idea!! It's Body Spelling from Dr. Jean. It's a great way to involve the whole body when doing word work and practicing sight words. 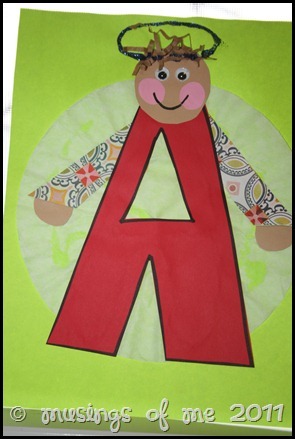 You will find a free download for individual student recording sheets and picture icons for whole group work from Kindergarten Works' post Body Spelling with Dr. Jean and Friends. 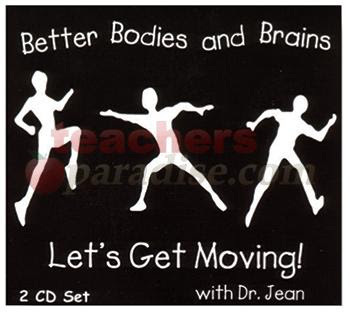 Dr. Jean's Better Bodies and Brains: Let's Get Moving! CD is loaded with fun songs for practicing literacy while getting the body moving and engaging the brain. You can get all of the dimensions for the project for free from Kerri's post Magic Elf Art. 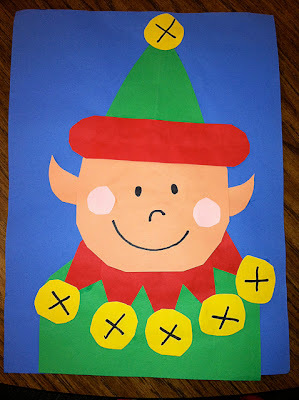 For lots of other fun elf activities, you can download Brooke's Elf Mini Unit for free here. I love Michelle's idea of making a Christmas alphabet. If time is getting away from you and you do not feel like you can do something like this with your class before your Christmas break, you might consider doing the same thing with winter. If I was doing this with my class, I would start by brainstorming a Christmas alphabet list with my students. Then each day, we would read a picture book connected to the letter for the day and I would work with a small group to make that letter. I would string the letters across the room from a clothesline, adding a new letter each day. You could adapt this same idea and make a winter alphabet if you do not have enough time to do it this month. 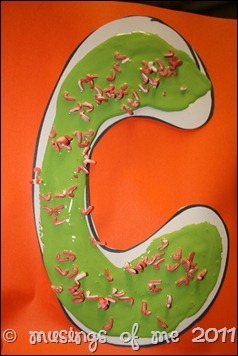 Be sure to follow Michelle at Musings of Me to keep up with what she is doing with her letters. 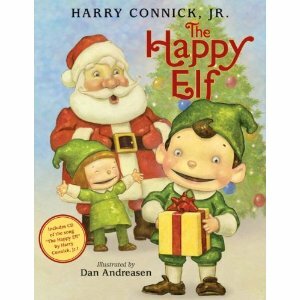 You can find her Christmas Book list post here. 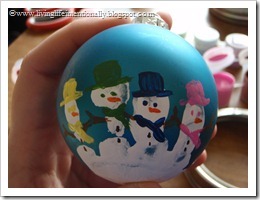 I used to make these snowman ornaments with my class every year. They were super easy to make and the parents always loved them. I found this picture from Laura at Come Together Kids and her guest post by Beth from Living Life Intentionally. I always attached the poem below to the ornament. I printed the poem in colored ink on cardstock. Then I used fancy scissors to trim around the edges. I punched a hole in the top left corner of the cardstock and tied the poem to the top of the ornament using ribbon or fabric. When my hand was just this small!! Jennifer from First Grade Blue Skies has posted the patterns and instructions for her reindeer glyph. This unit is only $2.50 and it contains a lot more than just the glyph idea. If you are not interested in doing the glyph, your kids could still make the reindeer as a literature response to a reindeer read aloud such as The Wild Christmas Reindeer or Rudolph the Red Nosed Reindeer. 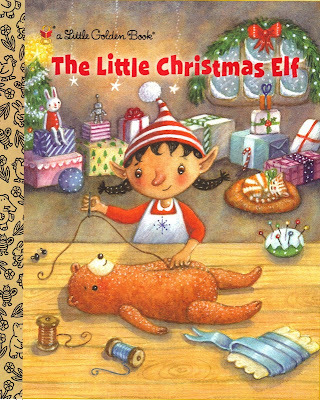 Students could write about their favorite parts of the story, tell which reindeer they liked best and why, compare fictional reindeer characters with non-fiction reindeer facts, etc. You could create a large class Venn Diagram and display the reindeer all around it. 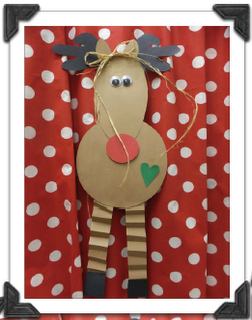 Kim Adsit has a fun reindeer unit that you may want to check out too!! 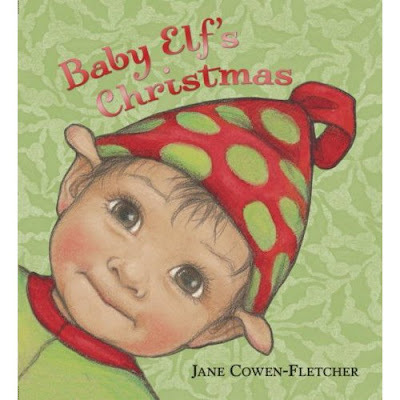 It has lots of reindeer reading and math fun in it!! I emailed Jennifer (First Grade Blue Skies) about her cute Santa bulletin board and she agreed to post a pattern freebie for it this weekend. So be on the lookout for it!! I have so much going on with work and writing these days, that I am so behind on checking out blogs and posting about anything I have been doing. I hate missing out on all of the great things people are doing in their classrooms!! I found a few minutes yesterday to look at a couple of things and I found these Christmas around the world ideas I really liked. 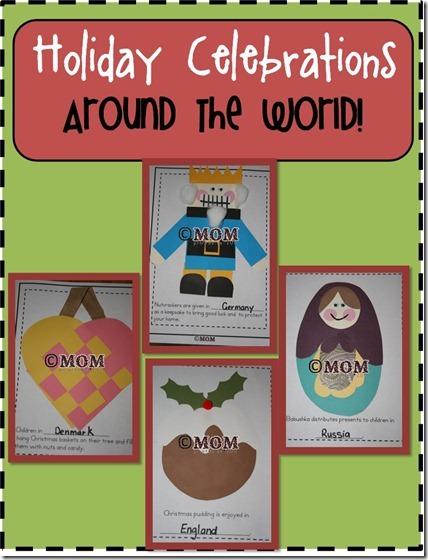 I love Michelle's (Musings of Me) Holiday Celebrations Around the World Keepsake Book!! The unit contains 16 crafts for 14 different countries. Even if you are not interested in completing the entire book or if you do not have time to do all of the countries, you could easily pick and choose individual ones to do. 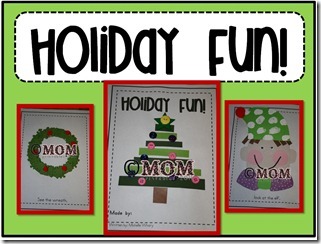 The crafts are easy to do on single sheets of construction paper. Here is a sample of the unit. 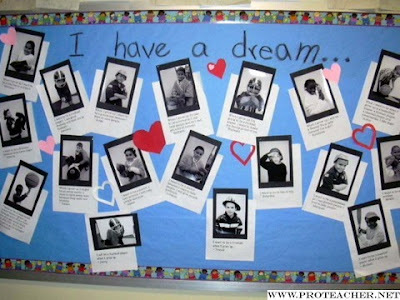 The bulletin board below is one that I created, but this is an example of what I mean when I say you could do the crafts on individual sheets of construction paper and then do some shared or interactive writing to go with them. Michelle also has The Tale of Christmas and Holiday Fun which would make great keepsake books for parents for Christmas. 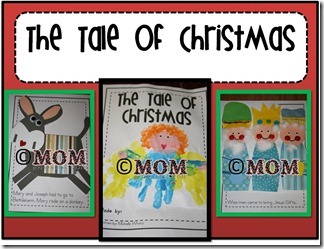 The Tale of Christmas tells the story of baby Jesus' birth. If you study this as part of your Christmas Around the World celebration, you could have students work together to make pages (so that you only create one) and create a flow map using them. 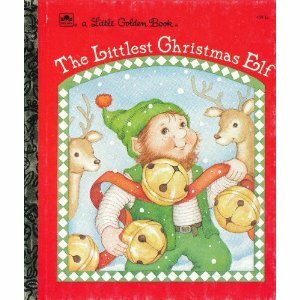 Another Christmas Around the World unit that you may want to check out is Kim Jordano's unit on TPT. 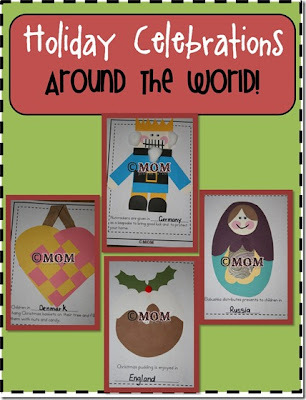 She has posted a unit which contains all of the patterns for the Christmas Around the World ideas she has on her website. The unit contains ideas for 6 different countries.You can go to her website to check out more pictures. 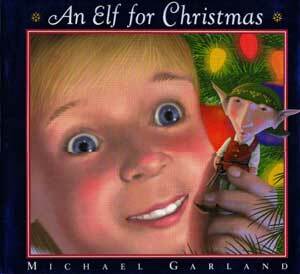 One last post that I found yesterday that you may want to check out is Michelle's Christmas read aloud list. 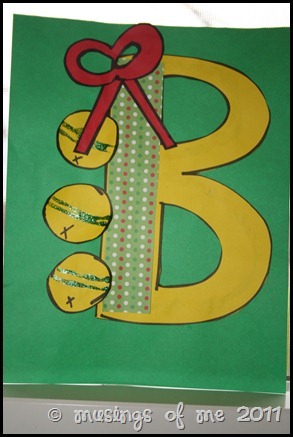 She has listed a Christmas story to go with each letter of the alphabet. You could place all of the books in a big bucket and read them in ABC order over the days you have left until your break. 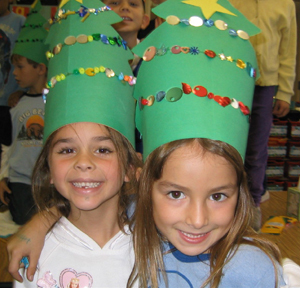 To see what I do in my classroom for Christmas Around the World go here.